These tips are known by many names but are all, in principle, the identical product. They are called filter tips, barrier tips or aerosol tips. The purpose of the additional filter/barrier is to prevent aerosolized particles from entering the pipette cone and being expelled into a different sample, thereby causing contamination. 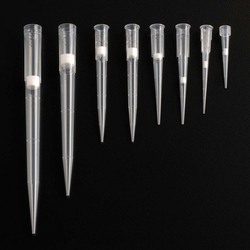 More and more labs are making the move to operating their lab almost exclusively with filter tips, but at the very least, use them for their cell culture work or quantitative analysis like qPCR. Our Teepa Tips offer the same exceptional fit and low-retention as the non-filter variety but with the added level of protection with the inclusion of inert plug material.